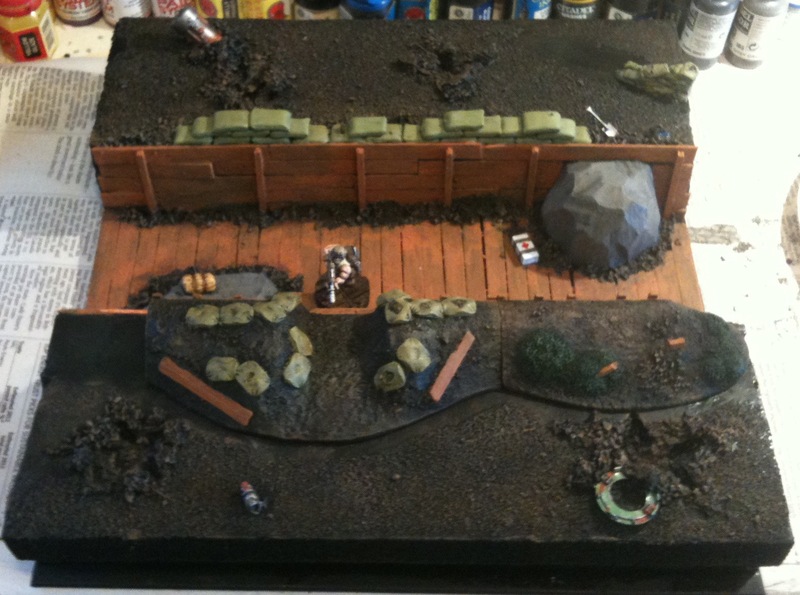 I finally finished the second modular trench terrain tile. This is tile D2. The last few days I haven’t been productive. I’ve slept in a couple times instead of getting up early to read the paper, paint, watch the world cup, and of course look for a job. I’ve now been unemployed for three months. I had an interview recently, but it wasn’t a slam dunk, so I have to wait and see and keep looking and applying to other jobs. 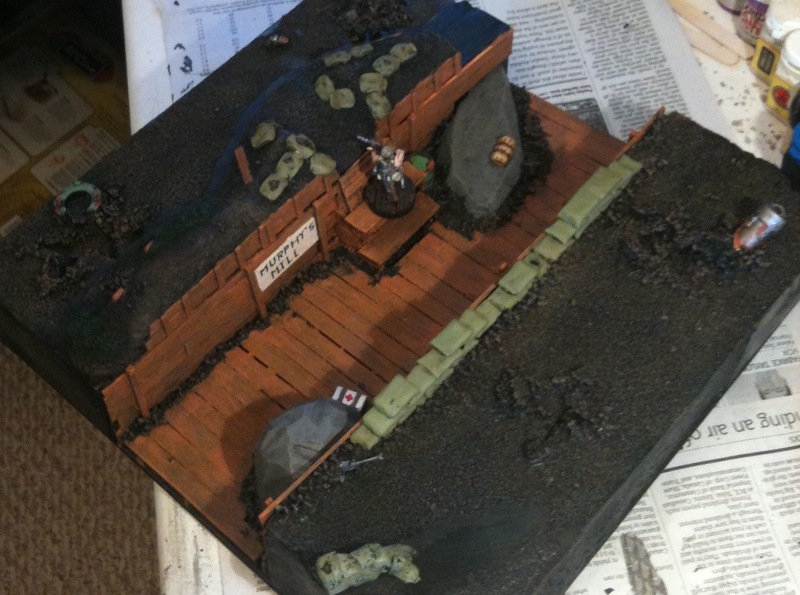 I’ve put a lot of effort into these trench tiles but I have to switch to my 2010 Astronomi-con Vancouver army. It will once again be Chaos Space Marines. The second tile looks big because it is four inches wide, too wide. I did things in a slightly different order, I also used some new materials. 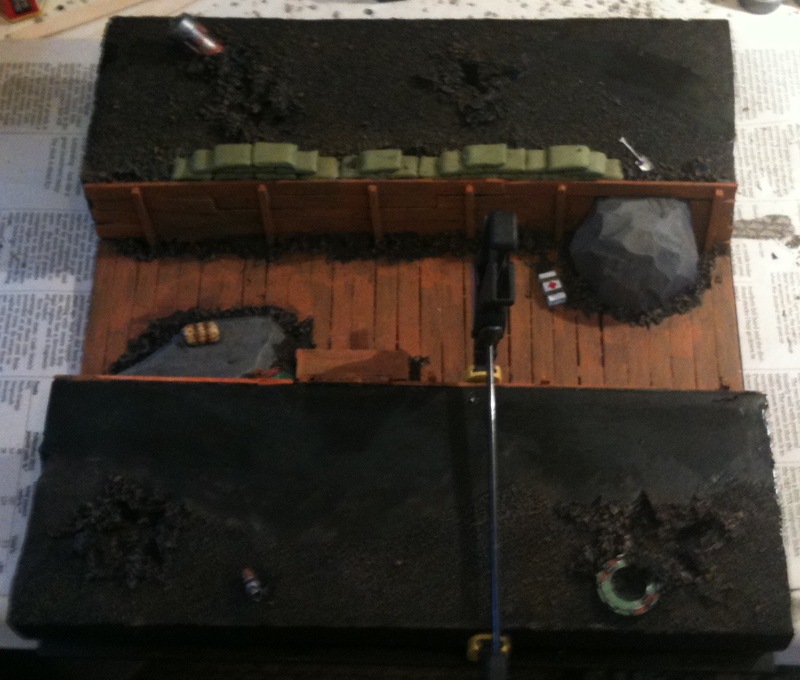 I tried out cork rubble and pre-made plastic sandbags. They came out looking too smooth, I don’t like it. Next time I use them I’ll probably put a dusting of sand on top to give them some texture and variety. Either that or run a board along the top, both are realistic. I put a little more ‘stuff’ scattered around this tile, but I think I need even more inside the trench. I might try painting it first then gluing it down, though to get that half buried look, you need to glue it down before most of the grit. I also think next time I’ll have less grit inside the trenches and I’ll leave bigger spaces between the planks. I experimented a bit with rust techniques using different pigments, but still also using Rust Brown Ink and Foundation Orange both diluted with water. I tried to get a yellower canvas color on the sleeping bag or rain cover that is sitting on one of the rocks. I used Iyanden Dark Sung and Gryphonne Sepia for the most part to achieve the color. I’ll test it on an Imperial Guardsmen soon. Not all washes are an improvement, one of mine had too much ‘rusty red’ in it or I should have started from scratch rather than trying to lighten the previous wash… Anyway I’ll just have to start from scratch with the lightest orange rust pigment I have. 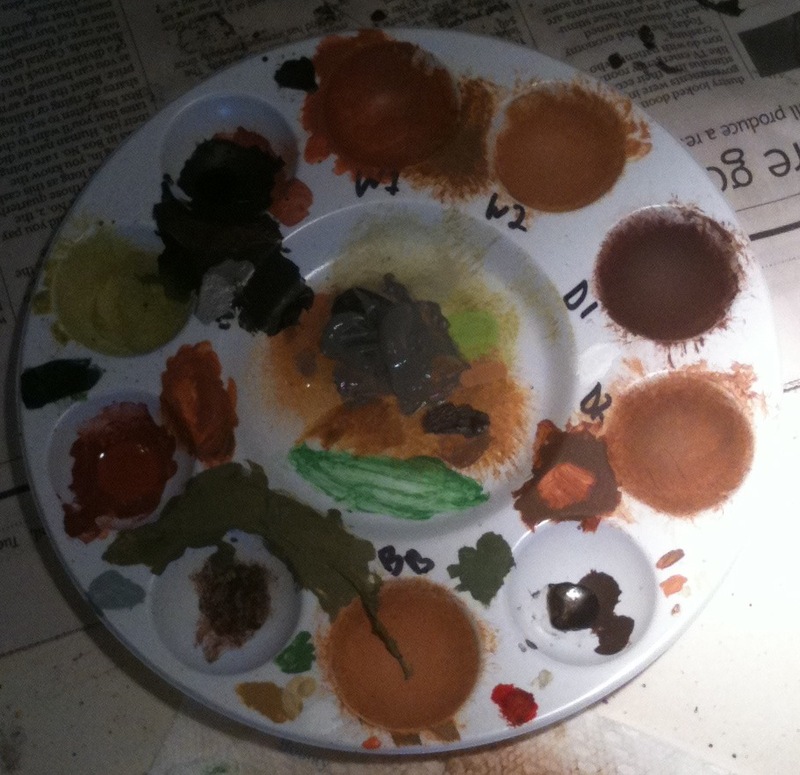 I need even more little cups on my palette. I’m just waiting for the last few washes and coats of paint to dry then I’ll have up some photos. So far no comments on this entire blog, but I’m not getting any search engine traffic or basically none, which is odd because the Greening the Inner-city blog gets some and it had mostly linking to it early on, but it must have more variety of incoming links. 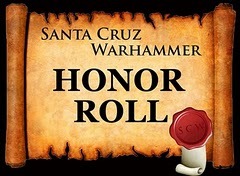 I’ve posted links to the odd forum and on the Lead Adventure Forum and the Miniatures Page there is a little discussion about this project, but it is mostly me talking to myself as usual. I really dig your trenches. Unfortunately I never finished the other 22. I started on some, but I just didn’t have the time, space, or opportunity to work on a project that large. All my miniature wargaming stuff is in storage at my mother’s house. 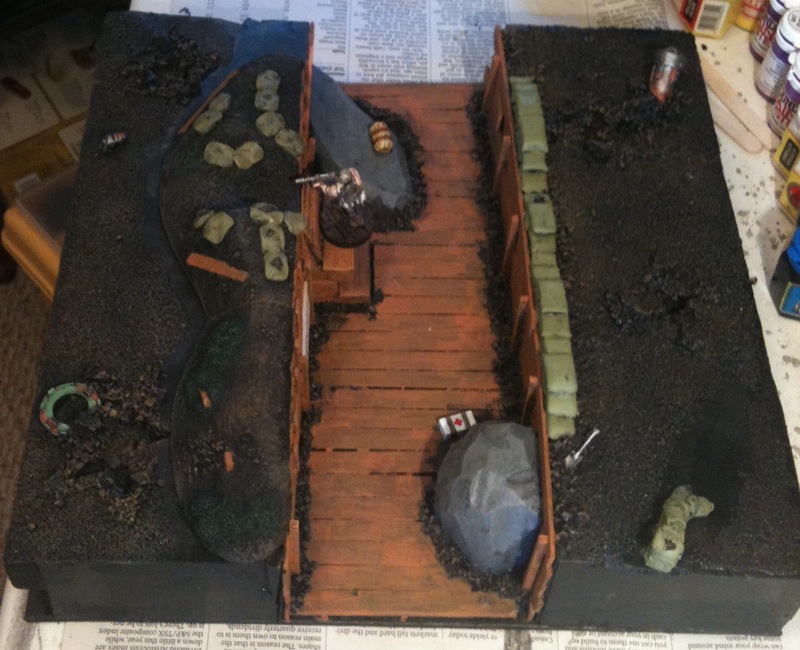 Maybe in 2014 I’ll resume miniature wargaming, but this project will take a heroic effort to finish, I spent a lot of money and time on it already.